For the first time since 2013, Alec Bradley has introduced an exclusive cigar for the Tobacconists Association of America (TAA). The TAA is an elite group of tobacconist retailers that adhere to a strict set of standards to offer their customers a superior purchasing experience. As such, the industry’s top manufacturers gather with TAA retailers each year to introduce new and exciting smoking experiences to be sold exclusively at TAA locations across the country. New for 2017, Alec Bradley has tweaked their popular Black Market cigar for a smoking experience that has been described as a “Black Market on steroids.” The cigar is dubbed “Alec Bradley Black Market Illicit,” a special iteration that is being offered in a singular, 6” x 50 toro size to best showcase the cigar’s ideal profile. Alec Bradley set its sights on Nicaraguan tobaccos in order to “amp up” the traditional Black Market cigar, using a Nicaraguan wrapper, dual binder of Nicaragua and Honduras, and fillers from special, small-yield farms in Nicaragua. 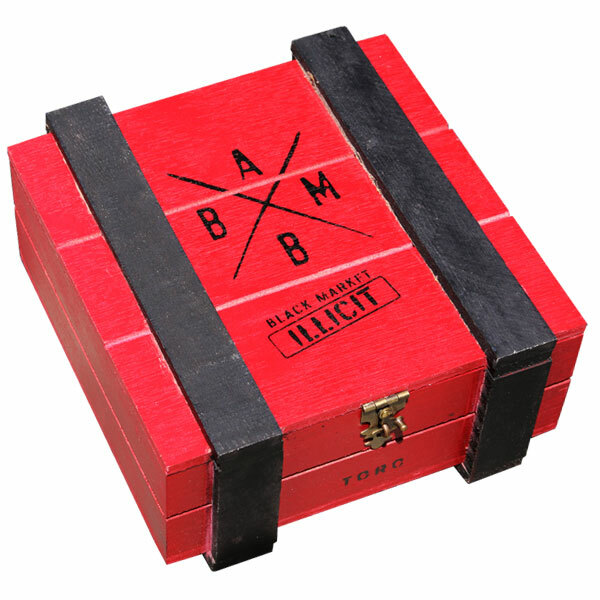 Alec Bradley Black Market Illicit has been crafted in limited quantities, displaying a medium/full body and spicy characteristics of black pepper, raw earth, charred oak, and fiery chili powder.